Concentric Three – M5 Construction Released! Finally I have published the Concentric Three – M5 design. It has actually been finished for some time now and I enjoy and like it very much. 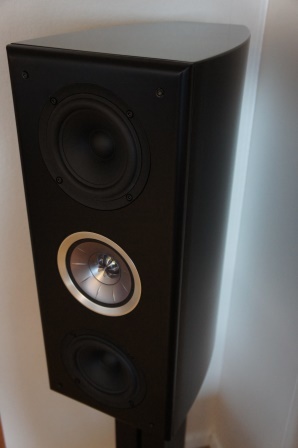 If comparing with the commercial KEF loudspeakers, the Concentric Three – M5 speaker most closely resembles the 2600$ KEF R500 design in size and driver unit layout. 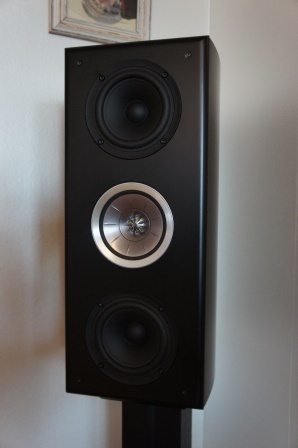 The KEF SP1632 co-axial driver is truly an amazing driver and delivers top notch performance to a budget price. I have a couple of times listened on the KEF R500 and they instantly caught my interest, but I haven’t actually listened to my design side by side with the KEF R500 so I can’t comment on the exact sonic differences between them. 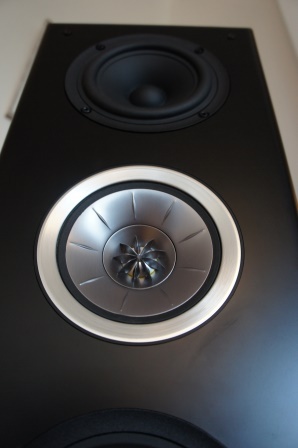 One thing I can say is that as a DIY designer I don’t have to compromise with the cross-over design in order to cut costs as most commercial loudspeaker manufacturer have to do, at least in this loudspeaker price range. It would however be interesting if anyone out there has the cross-over schematics for the KEF SP1632 driver used in the KEF loudspeaker “R series” in order to compare the design choices made. If you do please let me know! Read full article |Comments Off on Concentric Three – M5 Construction Released!